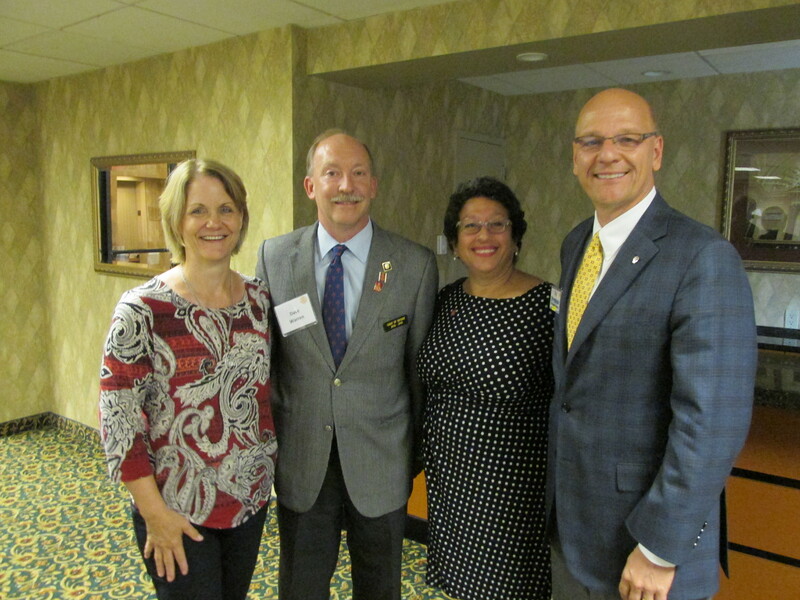 ← Recent Rotary Fellowship Events – Hitting the Open Road! Last week, President Tim promised 10% more fun at Rotary and said we would hear more about this from District Governor Dave Warren. So what is fun and how does it relate to Rotary? Do you consider Rotary fun? I looked up “fun” in three dictionaries, starting with a classic Webster’s Unabridged. I didn’t think Webster’s first definition fit either Dave’s message or my experience of Rotary. “Fun: A practical joke: trick, hoax.” Dave had us laughing, and he described Janesville’s annual corn roast and mud volleyball tournament laughingly, but he in no way thinks of Rotary, his governorship, or Janesville’s fundraiser as a hoax. Try again. “Fun: a source of enjoyment, amusement, or pleasure.” This first definition from American Heritage Dictionary is second in the Webster’s, and fits with Dave’s message. The first two definitions in my Random House dictionary give us these descriptors as well as adding mirth and playfulness. Dave clearly wants all Rotarians in District 6250 to enjoy their meetings, and his playfulness was evident as he quizzed us on Rotary trivia and offered Jolly Rancher candies as prizes for correct answers. We all learned the first president of Rotary was, not Paul Harris, but rather Silvester Schiele. No candy on that one; Rob Stroud knew the answer from hearing Dave’s speech before, so his answer didn’t count! Fun for District Governor Warren goes much deeper than games and amusement. He takes great pleasure in Service Above Self. He shared how the project, Kids Against Hunger has encouraged children in Nicaragua to attend school by ensuring that if they come they will be fed a nutritious meal. He reiterated how the Rotary International effort to eradicate polio is close to reaching its goal. Reflecting on success is fun. Where does his title, the bad gift, fit into Governor Dave’s definition of Rotary fun? He says joining Rotary was a gift that he initially didn’t think he wanted. But he now appreciates it as the gift that keeps on giving. “Rotary is a gift to myself and to my family,” he declared, as he asked us to offer this gift to our spouses, grown children, friends, and neighbors. Dave joins RI President Gary Huang in asking us to enjoy our Rotary service, share it with others (a good gift even for the busiest of the busy), and Light Up Rotary together. Our thanks to District Governor Dave Warren for his presentation CLICK to view his first video newsletter. This entry was posted in 2. Meetings, 5. Members, District 6250, District Governor and tagged District 6250, District Governor, Rotary, Rotary Club of Madison. Bookmark the permalink. Thanks for all you’re doing to “Light up Rotary” this year and always. Great job and funny! You are not just encouraging clubs to have fun, you are leading the way. Love your videos.